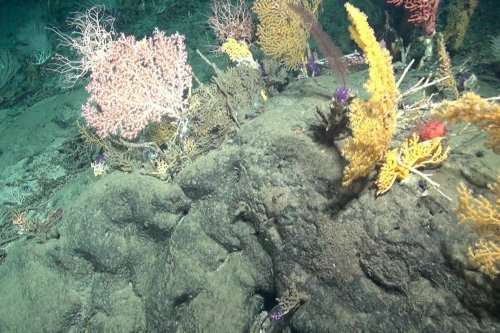 Combining the innovations of synthetic biology with robotic environmental sampling, a team of University of Bristol researchers are travelling to some of the most 'extreme' environments on Earth, including Atlantic depths of 4.5km, to find new leads which could help in the global fight against antimicrobial resistance. The development of antibiotics is considered by many to be the greatest medical advancement in human history. Recently, however, the emergence of antimicrobial resistance (AMR) as a global threat to our health and wellbeing has brought into sharp focus the pressing need for the discovery and development of new antibiotics capable of overcoming the impending threat of AMR. Historically, the majority of clinically useful antibiotics have been based on molecules isolated from natural sources. Even today around 70 per cent of all the antibiotics that are prescribed are derived from so-called 'natural products'; chemical compounds that are produced by microorganisms or plants to enable their survival in the environmental niches that they inhabit. Although natural product drug discovery was a mainstay of the pharmaceutical industry in the mid 20th century, the advent of structure-based approaches and combinatorial chemistry in the 1980s and 90s, led to industry migrating away from this approach. Now, some 20 years later, the emerging science of synthetic biology is enabling researchers to rapidly discover and optimise natural products for use as antibiotic leads, resulting in a renascence in this important area of research. Funded by BrisSynBio, Dr Paul Race and colleagues at the University of Bristol are combining the innovations of synthetic biology with robotic environmental sampling to attempt to unblock the antibiotic discovery pipeline. To find new and interesting natural products the best place to look is in microorganisms that have been exposed to evolutionary pressures that necessitate the acquisition of unusual metabolic innovations. The deep ocean is one of the most 'extreme' environments on Earth, and microorganisms that live there are considered to be excellent sources of novel natural products. 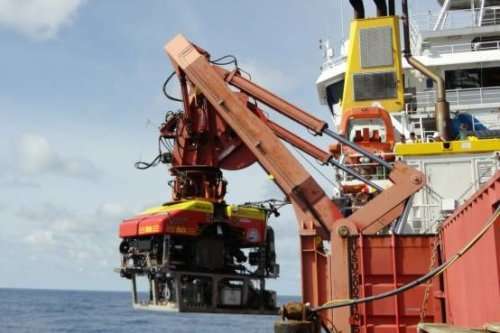 Using a remotely operated vehicle, deployed from the James Cook research vessel, the team has been recovering environmental samples from previously unexplored regions of the Atlantic Ocean sea bed at depths >4.5 km. Following sample recovery, the bacteria present in these samples are grown in the lab and their capacity to produce new natural products with antimicrobial activity is determined. This project has only been running for 18 months but the team has already isolated >1000 previously uncharacterised microorganisms, and six new natural product based antibiotic leads. This marine discovery programme is now being elaborated through collaboration with other researchers in Bristol and elsewhere to include microorganisms recovered from the Antarctic and from desert soils. In related work, the researchers are using molecular, genetic and chemical techniques to manipulate the cellular machineries responsible for the biosynthesis of antimicrobial natural products from marine bacteria. Building on previous work investigating the natural product abyssomicin C, from the bacterium V. maris, which was first isolated from the Pacific Sea bed, they are generating functionally optimised versions of this molecule that are better suited for use as antibiotics in animals and humans.